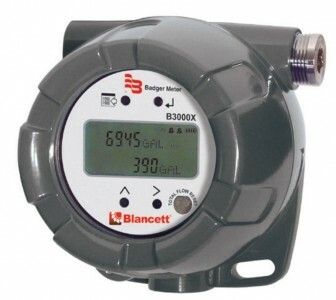 The Blancett B3000 Series flow monitor provides a flexible, durable, easy-to-use platform for flow metering applications. 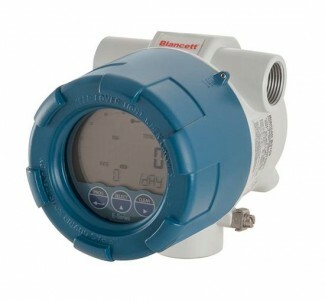 This monitor makes it extremely simple to track flow, with a crisp dot-matrix display capable of simultaneous display of flow rate and flow total. 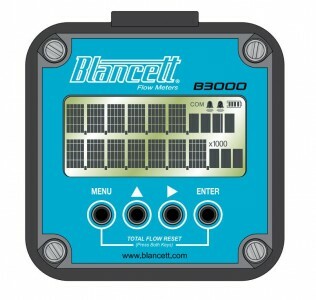 With a wide variety of enclosure options for both liquid and gas applications, from intrinsically safe and explosion-proof (flameproof) ratings, to an innovative solar-powered model, there is a B3000 monitor to suit your needs. ♦ Battery, 4-20mA Loop and Solar Powered models.